Take a journey through time in Nashville to experience how music influenced this Bible Belt city and in turn how Music City influenced the whole world. 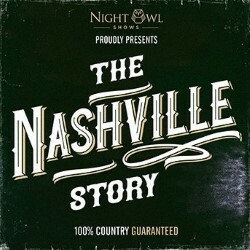 This fascinating show is delivered in the Night Owl trademark show-umentary format giving a fascinating insight into the history and culture of country music. Featuring Hannah Richards and Jamie Rodden, returning to the Fringe following sells-outs, critical acclaim and standing ovations in 2018. Includes the music of Johnny Cash, Dolly Parton, Hank Williams, Kris Kristofferson, Shania Twain, Tammy Wynette, Patsy Cline, Taylor Swift and more.